On Day 1 of the College Sports Summit in Atlanta, SVG and NACDA honored the University of Alabama with the fourth-annual SVG/NACDA Technology Leadership Award. The award is presented each year to the university athletic department that meets the outlined criteria of commitment to the investment in and execution of broadcast- and video-infrastructure technologies. Justin Brant, director of Crimson Tide Productions, accepts the SVG/NACDA Technology Leadership Award on behalf of the University of Alabama Department of Athletics. A leader and trendsetter in college sports video, the University of Alabama formed Crimson Tide Productions in 2010 and opened the doors of its 40,000-sq.-ft. digital media center — housing two control rooms and two studios — in 2013. Currently, Crimson Tide Productions employs 16 fulltime staffers and offers unique, hands-on production opportunities to more than 100 students per year. 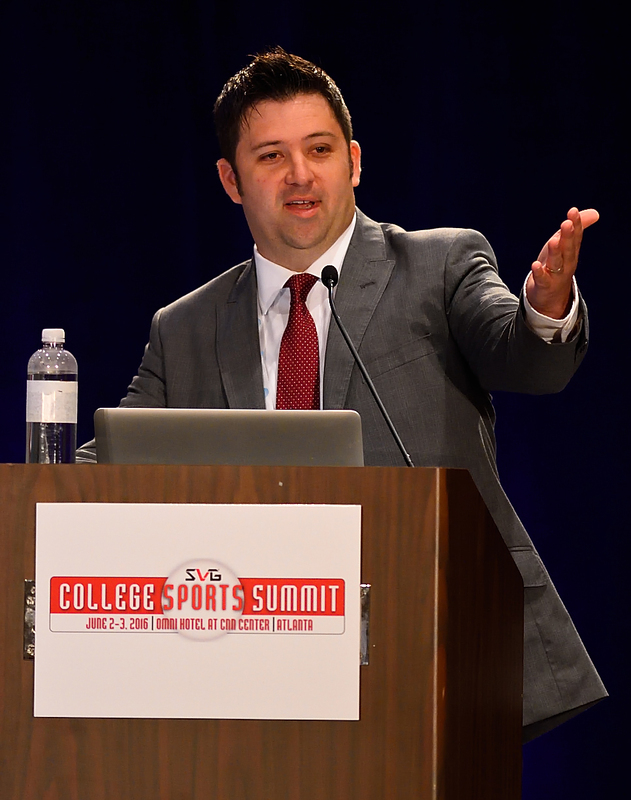 Since its first live-streaming of an athletic event in 2008, the University of Alabama has positioned itself as a leader in the Southeastern Conference and spearheaded the conference-wide development and launch of the SEC Network. Previous award recipients are Brigham Young University (2015), University of Oklahoma (2014), and inaugural recipient University of Notre Dame (2013). For more on the criteria used to select the SVG/NACDA Technology Leadership Award recipient, CLICK HERE.